Custom-made prebuilt cabinets are a big ticket item. That number increases if you opt for exotic woods or ornate details. With a little bit of shopping you can find some amazing cabinets that don’t have to be customized. They just might have to be assembled. If you have ever built a piece of assembled furniture, then you understand the concept of putting together cabinet. Not only can you find great cabinets but putting them together instead of having your crew do it will save a lot of time and money. Of course, if you can keep the old cabinets you’d save even more. That doesn’t mean you have to be stuck with them in their current condition. Those cabinets can be stripped and refinished in any color or stain of your choosing. Swap out the fixtures while you’re at it and before you know it those cabinets will look totally brand-new. Marble is the high end for countertops. 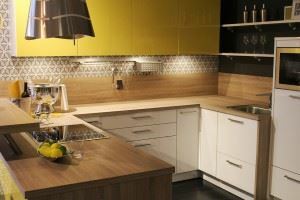 But there is a wide range of potential countertops to choose from including recycled products, concrete and even laminate. If you want to stick with granite, then explore pieces that are remnants from other jobs or maybe some that have been deemed “damaged.” Usually with damaged granite you would be hard-pressed to find the imperfection but it can save you a lot of money. Before you bring in new kitchen the life, you first have to tear down the old one. Kitchen demolition is not complicated. It’s not as if you’re driving a wrecking ball into the space. You’re simply dismantling cabinets, pulling up countertops and yanking up flooring. All of that can be accomplished with the right set of tools and a little elbow grease. All you need to do is account for is the cleanup. That’s where Junk King Miami can make a huge difference. Instead of you loading up your car with all that construction waste and driving to the proper place to dispose of it, turn it over to Junk King. They’ll have the site cleared in a matter of minutes without you ever lifting a finger. The perfect partners for your kitchen remodel clean up is Junk King Miami. Put them to work today. This entry was posted in Miami Junk Removal and tagged demolition, junk King Miami, junk removal, kitchen remodel on June 30, 2017 by Junk King. Last updated July 1, 2017 .